The Charleston Digital Corridor, along with title sponsor Charleston County Economic Development, is pleased to announce that registration for the 2018 Innovators' 5k (iFiveK) is officially open. The race will be held at Riverfront Park on March 22nd, 2018 at 6:30pm. Proceeds from this annual race benefit the Digital Corridor's CODEcamp and CODEcamp Kids scholarship fund and other education programming. Confirmed sponsors include Charleston tech companies BoomTown, Blackbaud, City of North Charleston and Snagajob. "Charleston County Economic Development is proud to return as the title sponsor of the iFiveK race. Our commitment to growing and supporting the tech community is demonstrated in our valued partnership with the Charleston Digital Corridor. We look forward to a fun evening celebrating with Charleston's top tech professionals," said Steve Dykes, Executive Director of Charleston County Economic Development. "Charleston's tech community is built on creativity, grit and a bright, vibrant edge that no other city has. We love the opportunity to run with our local tech community companies that are making a national impact. Our teams look forward to that feeling you get when you see that you're not just part of a company, you're actually part of a growing city making a big difference," said Snagajob Senior Director, Jason Conrad. 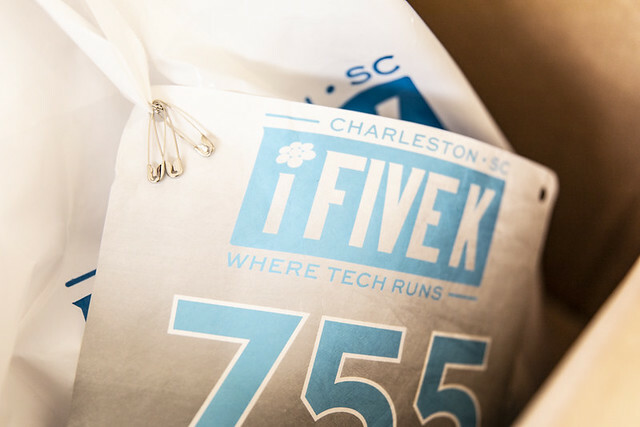 The iFiveK has become a favorite athletic and networking event for Charleston's tech community. As one of only a handful of evening, weekday races in the region, the iFiveK historically sells out ahead of the event. For 2018, the Charleston Digital Corridor has updated the post-race events to include field competitions for company teams ranging from 2-5 participants. "As we have done since 2007, the Charleston Digital Corridor is pleased to host an event where the tech community comes together for a fun evening of competition and networking," said Digital Corridor Director, Ernest Andrade. "The growth and vibrancy around our tech community is super exciting."